This week the Craftwell eBrush Design Team members are sharing Altered Projects using the eBrush. 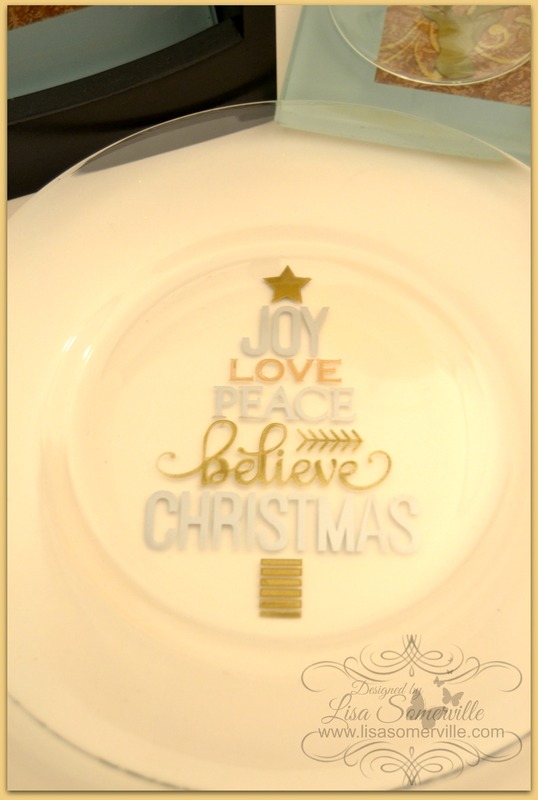 I'm excited to share my projects with you, when I showed them to my family, they loved the glass pieces and said they looked like etched glass! 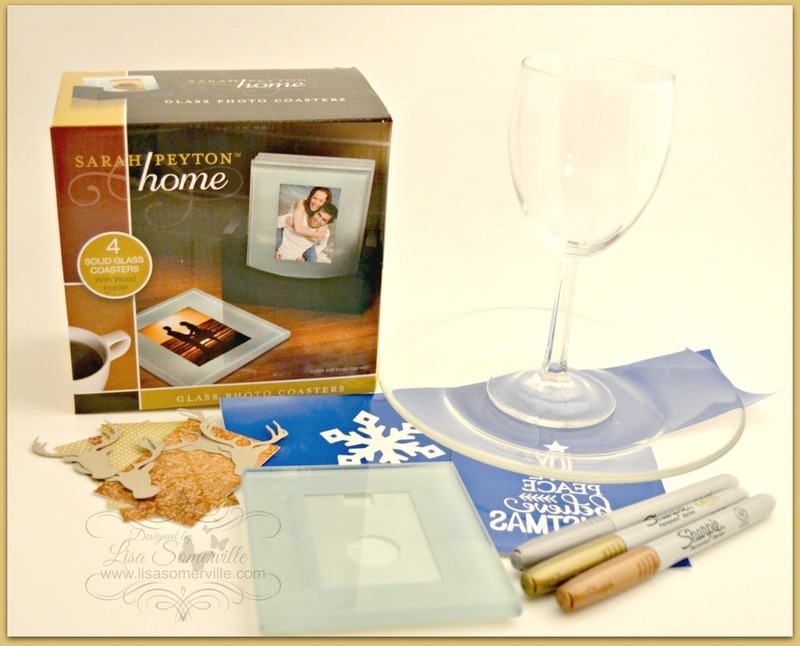 I have a few step out photos here in my post, to see more photos, please visit the Craftwell Blog. 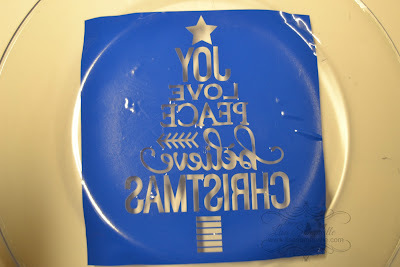 When decorating the plate, I knew I wanted to add the color to the backside so I reversed the image (from Silhouette), then die cut it from vinyl using my electronic cutter, and placed it on the backside of the plate as shown. 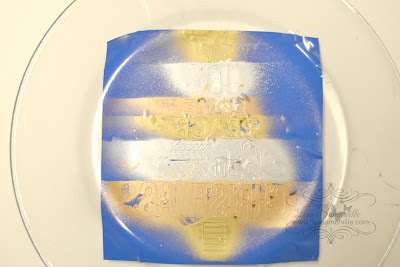 I used the eBrush and Metallic Sharpies to add color, once dry, I removed the vinyl. 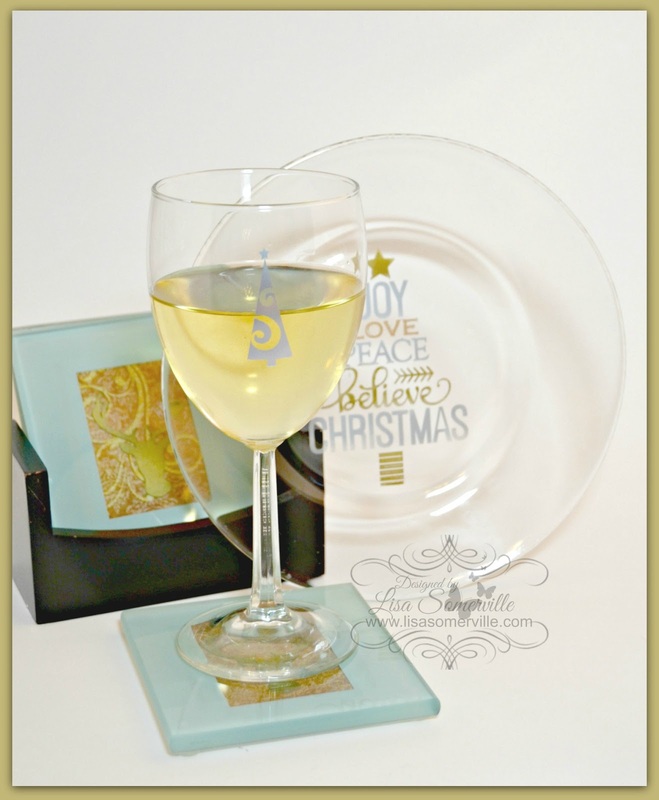 To add the design to the Wine Glass, I used the eBrush and a Silver Metallic Sharpie to spray over the vinyl cut out (from Silhouette). Let dry, then remove the vinyl. 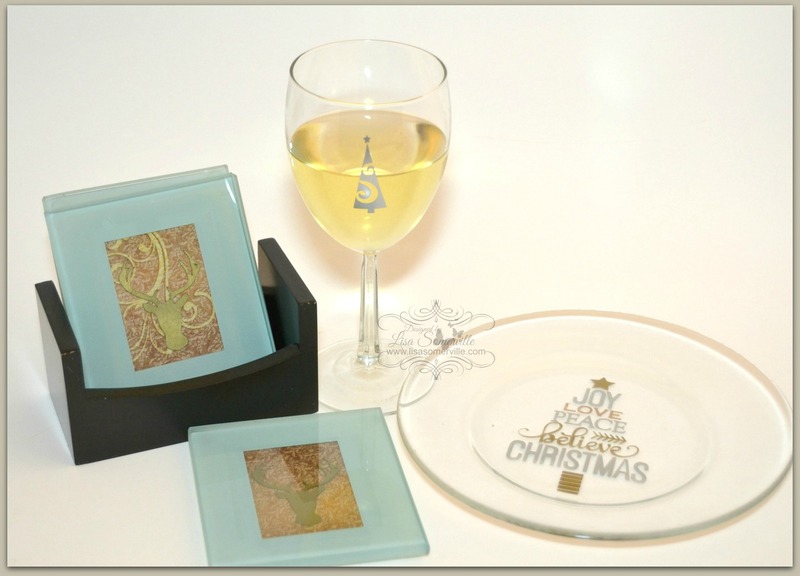 I had the Glass Coasters in my alterable stash, as I had gotten them on clearance at Kohl's. They have an opening for photos under the glass. Instead of using photos, I used a cut file from Maya Road, and pattern paper. 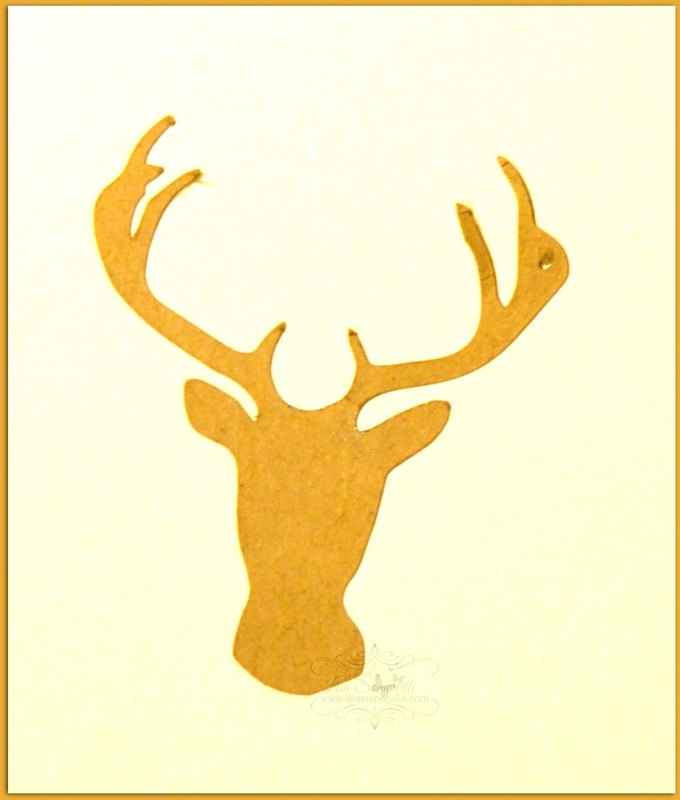 After die cutting the deer, I used the eBrush and Metallic Sharpie Markers to add color to the die cut pieces than adhered them to the pattern paper. Tip: If you happen to notice any overspray of markers on your glass pieces, you can remove the marker using a Q-tip and Gamsol. As with all decorated glass items, hand wash for best results. You could also seal if desired, or bake in the oven to heat set. Fabulous ensemble! You make it all look so easy and fun!